We sold Paul’s Creekside in 2003 to escape the cold Colorado winters. In search of warmer weather and a laidback lifestyle, we landed in Kona with an old pickup truck, a few boxes of books and photo albums. We didn’t know anyone! Our vision was to build a community around our shared love for good food and wine. In November of 2004, our dream became a reality with the opening of Jackie Rey’s Ohana Grill in Kona. Almost 12 years to the day, November of 2016, we opened our second Jackie Rey’s in the historic Kaikodo Building in downtown Hilo. Jackie Rey is our daughter. We named our first restaurant after Paul, because all chefs want to have a restaurant named after themselves. We named our second (Kona) and third (Hilo) restaurants after our daughter, Jackie. We wanted to keep the focus on family (ohana). 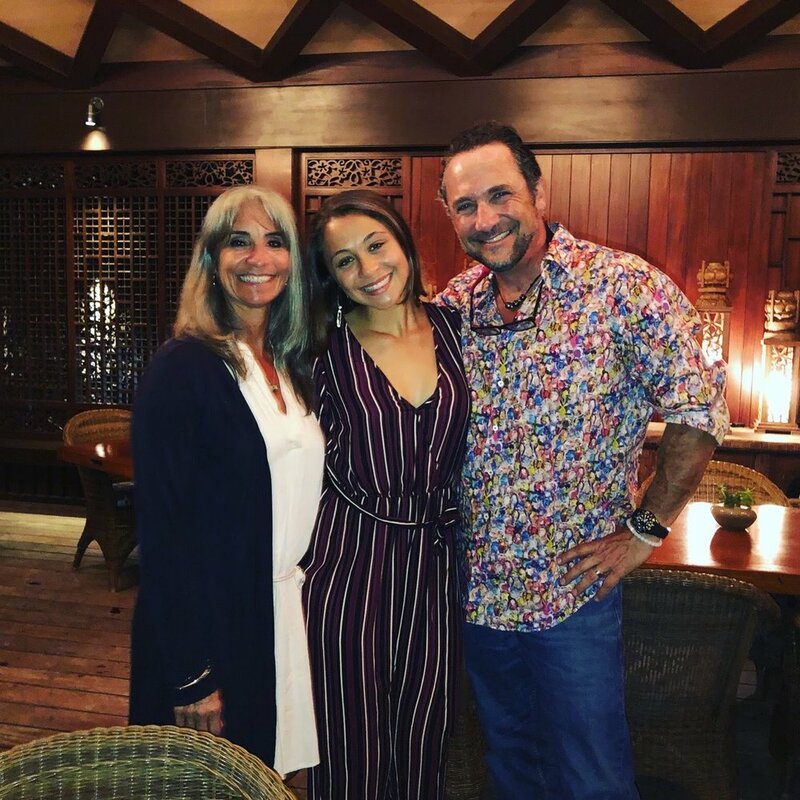 From the age of six, Jackie has hustled around the restaurant promoting the vibe of aloha and family that we strive for here at Jackie Rey's Ohana Grill.